8 REVERT TO OPEN MEETING FOR DECISIONS IN RELATION TO ITEMS DISCUSSED IN CLOSED MEETING. General Fund: This review revises the net operating result for 2008/09 to a deficit of $231,900 and varies Current Liquid Equity to $1,357,273, a decline of $217,500 since the Original Budget. Council’s estimated Current Liquid Equity (available working capital at year end) is satisfactory at approximately $306,000 above the minimum level as per Council’s policy. Water Supplies: This review revises the net operating result for 2008/09 to a deficit of $301,700 and varies Current Liquid Equity to $1,268,231, a decline of $292,000 since the Original Budget. Council’s estimated Current Liquid Equity (available working capital at year end) is satisfactory at approximately $752,000 above the minimum level as per Council’s policy. Sewerage Services: This review revises the net operating result for 2008/09 to a deficit of $233,200 and varies Current Liquid Equity to $595,972, a decline of $214,900 since the Original Budget. Council’s estimated Current Liquid Equity (available working capital at year end) is satisfactory at approximately $163,000 above the minimum level as per Council’s policy. The circularised budget review document includes, as variances, amounts required to match unexpected income/expenditure items plus resolved inclusions to the budget. Items varying $5,000 or more are briefly discussed commencing page 2 and are referenced to the page number in the body of the budget review document. Significant variations influencing the result are discussed further in this report. Also circularised for Council’s information is a Quarterly Program review of Capital Works & Major Programs. 1 That the Budget Review for the quarter ended 31 March, 2009 be received. 2 That the recommended increases and decreases in votes be included as subsequent votes for the financial year 2008/2009. This report has been delayed due to issues relating to the finalisation of the Draft Management Plan, staff availability and the impact the floods have had on the time for certain responsible officers in providing estimates. The summary of current liquid equity is on page 1 of the Budget Review document. The estimated current liquid equity surplus is $1,357,273 inclusive of internal loans. The original 2008/09 budget forecast a net operating deficit of $14,400. Items revoted from 2007/08 amounted to $1,131,300. The balance of internal loans borrowed from current liquid equity was $716,786. The September review revised the net operating result for 2008/09 to a deficit of $409,900, a decline of $395,500 since the Original Budget. The December review revised the result for 2008/09 to a net operating deficit of $300,000, an improvement of $109,900 on the September review. This March review revises the result for 2008/09 to a net operating deficit of $231,900, an improvement of $68,100 on the December review. With the continuation of the global economic downturn Council’s investment returns suffered again during the 3rd quarter although some relief has been experienced over the past two months. Hopefully this relief is not short lived and an upswing of returns will continue. Notwithstanding, a review of returns has been undertaken with a further downward estimate required, although the high volatility relating to the market makes it difficult even at this stage of the year to determine a reasonable estimate. The revised forecast has seen a similar reduction to last quarter in unrestricted investment earnings for general fund of $193,100. The other major item adversely affecting the result was an increase of $153,000 required for the Willis Street Netball Courts for additional foundation due to the site being an old creek bed. Manager Civil Works is providing further information. · Deferral of the Nambucca River Estuary Management Plan implementation, now considered in the draft 2009/10 budget. Working funds contribution was $30,000. · Increase of $33,000 for On Site Sewerage Applications. · The deletion of $20,000 for the Farmland Mapping Project. · Increases at the Waste Management Centre of $32,000 and $50,000 for Metal Crushing Income and Bulk Contractor Tipping Fees respectively. · Savings of $42,200 on Rural Sealed Roads Safety Improvements. The inclusion of the $322,000 variance required for the non replacement of the excavator, decided upon earlier in the year was a major factor in providing a surplus estimate for the quarter. Discounting the overrun on the netball courts strict budget management and the benefit of a solid working funds foundation has aided in dealing with the current tough economic times and in particular council’s lack of predicted returns on its investments. Given the fact that Council is faced with a mountain of asset management obligations and to ensure that future surplus budgets are a priority to sustain an adequate working funds balance, this strictness needs to continue. Importantly, this sternness of budget management allows Council to formulate a strategic approach by planning its debt levels and implementing financial sustainability measures such as the special rate variation strategy undertaken by Council. Council needs to remain aware that responsible financial management with a long term focus will become an increasing priority. The original 2008/09 budget forecast a net operating deficit of $9,700. Items revoted from 2007/08 amounted to $77,900. The September review revised the net operating result for 2008/09 to a deficit of $44,700, a decline of $35,000 since the Original Budget. The December review revised the result for 2008/09 to an operating deficit of $267,100, a decline of $222,400 on the September review. This March review revises the result for 2008/09 to an operating deficit of $301,700, a decline of $34,600 on the December review. The cost to Water Supplies’ working funds resulting from the revised investment earnings is expected to be around $13,800. Minor adjustment to operational items accounted for the remainder of the $34,600 decline from the previous review. The original 2008/09 budget forecast a net operating deficit of $18,300. Items revoted from 2007/08 amounted to $445,400. The September review revised the net operating result for 2008/09 to a deficit of $12,500, an improvement of $5,800 since the Original Budget. The December review revised the result for 2008/09 to a net operating deficit of $33,400, a decline of $20,900 on the September review. This March review revises the result for 2008/09 to a net operating deficit of $233,200, a decline of $199,800 on the December review. The cost to Sewerage Services’ working funds resulting from the revised investment earnings is expected to be around $7,600. In additional to the combined increase of $45,000 required for unforeseen maintenance items at Macksville and Nambucca Heads Treatment Works, a $125,000 reduction in income was required in relation to the Trade Waste Usage Charge. The original budget was based on income to be derived from a charge per kilolitre equivalent to the Sewerage Usage Charge. Subsequent information obtained from the NSW Department of Water and Energy – Liquid Trade Waste Guidelines indicated that the charge was excessive. Council’s revenue policy was adjusted accordingly with a corresponding variance required to income. On the same basis, Council’s draft 2009/10 budget will require a submission with regard to the currently displayed charge. a That Council make a submission to the Nambucca Shire Council 2009 – 2014 Draft Management Plan to reintroduce the requirement for the payment of Gutter and Footpath bonds where applicable, with the bonds being $750 each. b That Council require the lodgement and approval of Section 138 applications for all new developments and also where work will be required within the road reserve. c That Council amend its footpath specification where it is proposed to be installed with roll over kerb to require a minimum of F72 reinforcing mesh with 100mm thick concrete paving on a consolidated base. d That Council note the concerns of the Developer in regard to the drainage pits and lines associated with the "cut" and that a Cash Bond or Bank Guarantee covering Council estimated costs to do the works will be accepted as compliance with condition 14 of Development Consent for DA 2007/244. e That Council receive a bond from the developer for footpath construction with the construction not to occur until after the majority of houses have been built. This report will further address the numerous issues, benefits and disadvantages along with the potential budget issues and liabilities. 1 That Council note that a submission has been made to the Nambucca Shire Council 2009 – 2014 Draft Management Plan to reintroduce the requirement for the payment of Road Access bond where applicable, with the bond being $2,000. 2 That Council require the lodgement and approval of Section 138 applications for all new developments and also where work will be required within the road reserve which must be accompanied by the $2,000 Road Access bond and a suitable Traffic Management Plan. 3 That Council amend its footpath specification where it is proposed to be installed with roll over kerb to require a minimum of F72 reinforcing mesh with 100mm thick concrete paving on a 50mm consolidated crushed granular bedding (90% compaction). 4 That Council accept the lodgement of an appropriate cash bond or bank guarantee where a developer wishes to defer the installation of footpaths which are required by a development consent. The cash bond or bank guarantee shall include estimated additional costs to cover inflation and restoration and repairs to the nature strip. 5 That Council note the matters of concern in relation to condition 14 of Development Consent for DA 2007/244 have been resolved. Council has a number options available to it from adopting the recommendations above, or adopting alternative recommendations. The discussion section of the report is prepared in the same order of the above resolutions. a) That Council make a submission to the Nambucca Shire Council 2009 – 2014 Draft Management Plan to reintroduce the requirement for the payment of Gutter and Footpath bonds where applicable, with the bonds being $750 each. b) That Council require the lodgement and approval of Section 138 applications for all new developments and also where work will be required within the road reserve. Council's Draft Management Plan is currently on exhibition until Wednesday 10 June 2009. As this meeting is scheduled to occur after the closing period for the Draft Management Plan a submission has been made in accordance with this report and recommendation. In the previous report Council was advised that considerable footpath damage has occurred to the footpaths that were laid in accordance with the conditions of consent for the Ocean Waves Estate in Valla Beach. Whilst the footpath damage in this instance is significant, footpath damage is often caused due to heavy construction vehicles driving over the footpaths during the construction phase of new dwellings and alterations and additions being built in both new and already established areas of the shire. In the past Council used to charge a Kerb and Gutter bond and a footpath bond to ensure that any damage was rectified prior to the final inspection/Occupation Certificate was issued. The bonds used to be $500 each. The cost for accounting for these bonds was always an issue when final inspections were never requested etc and Council has for many years held bonds that were not claimed and/or refunded. With numerous Legislative changes, the increase in Private Accredited Certifiers issuing Complying Development Certificates and representations to the General Manager from several local developers and project home builders regarding Nambucca Shire's requirements for Section 138 Certificates (Work within the Road Reserve) a meeting was held between Engineering, Planning and Building staff and the General Manager to try and resolve the issues with S138's, bonds and Council's regulatory responsibilities with Traffic Management and Controls when working in the Road Reserves, inspection of footpath/gutter crossings, provision of cross fall levels for that part of the driveway within the road reserve and the process to activate a release of the bonds. From this meeting a directive was issued that from 1 July 2007, bonds were no longer to be required, and a reduced level of information was required for Section 138 applications. At the 20 May 2009, GPC meeting discussions were had in regard to the amount of the bond that should be required by Council. The report recommended $750 as it was considered that the previous $500 was insufficient. The cost to have the damaged footpath will vary depending upon the amount of damage. Often 2 -3 meters of footpath needs replacing. A typical cost for this would be: 2 workers for 1 day, formwork, truck & bobcat to remove damaged concrete, new reinforcement and concrete. The suggested $750 - $1,000 footpath/nature strip bond would normally cover the repair costs if the contractor was not to repair the damage. Damage to the kerb and gutter can be equally or even a more expensive process due to the removal and forming up for kerbs and gutters and the rectification works associated with the road and/or nature strip. As such, a suggested $750 - $1000 kerb and gutter bond is reasonable. For a new development, both bonds would be required or alternatively Council could instigate one bond of $1500 - $2000 and call it a road access or road reserve bond. In regard to lodgement of Section 138 applications and Council's responsibilities to regulate the Roads Act, Council has in the past only dealt with matters as resources permit. There are many instances where applications are not made and many occurrence of trucks parking in a street to deliver building material with no traffic control or cranes operating in or over a road reserve again without traffic control or approval. Section 138 applications are not related only to new developments but any work or activity undertaken within a Road Reserve, such as furniture removalists where they park illegally, sign writers who erect scaffold within the road reserve, builders renovating business awnings etc. · Requiring Bonds with the S138 application for new development or where a building or development approval is required provides some recourse for Council to have damaged gutters/footpaths repaired or replaced, irrespective of whether the PCA is Council or a Private Certifier. · The requirement for a S138 can always be controlled where a building or development approval is required irrespective if it is a full Development Application or Complying Development as it can be conditioned in the DA consent and for Complying Developments it is a Legislative Requirement that a S138 approval is first obtained. · Occupation or Interim Occupation Certificates must be issued for either a full DA proposal or Complying Development which would trigger the inspection of the site for possible refund of the bond. · The non refund of bonds provides for additional Trust Account management and a liability for Council if a vigorous process is not instigated and maintained. · The provision of Traffic Management Plans (TMP) to accompany the S138 can only be meet by engaging an appropriately qualified and accredited person/company to prepare the plan and have the plan implemented when works within the road reserve are undertaken, to remove Council's exposure should an accident or incident arise. · Council's inconsistent ability to regulate and police the requirements of the Roads Act due to lack of resources provides considerable risk to Council. · Impact on Council's Works Overseer or Assistant Overseer to inspect all gutter crossings and driveways within the road reserve. · An internal referral process needs to be ratified between Environment and Planning Support staff when the request for an Occupation Certificate is made or received from a Private Certifier, the Building Surveyor or Engineering Staff inspecting the footpaths and the Finance Staff involved in the refund of the bonds. c) That Council amend its footpath specification where it is proposed to be installed with roll over kerb to require a minimum of F72 reinforcing mesh with 100mm thick concrete paving on a consolidated base. e) That Council receive a bond from the developer for footpath construction with the construction not to occur until after the majority of houses have been built. Council's current specifications for pedestrian footpaths provides for 1200mm wide, 100mm thick on 50mm compacted sub grade if on fill or poor subgrade material. Reinforcing is only required at vehicular crossings along with an increased thickness of 125mm. Whilst the above specifications may be adequate for square kerb and gutter, they are inadequate where rollover kerb is used. Council has no special specification in this regard which has led to some degree to the problems at Valla Beach. It is therefore recommended that Council develops a specification for rollover kerb requiring pedestrian footpaths to be 100mm thick with F72 reinforcing fabric on 50mm compacted crushed granular bedding (90% capaction). Accepting bonds for footpaths in new subdivisions in lieu of the footpaths being constructed provides both advantages and disadvantages. The engineering designs for the subdivision will be assessed and the developer advised of their approval. In some instances the developer will elect to install the footpaths (as in the Valla Waves Estate) or may elect to bond them and Council installs the footpaths at a later stage (as in Langsford Way and Edgewater Estate). With the footpaths being laid at subdivision stage the levels are generally set which control driveway crossfalls etc. However, as was noticed at Valla Waves Estate due to the topography and cut and fill, some sections of the footpath have been cut out and married into suit the driveway which makes for an uneven footpath. The footpaths are also then vulnerable to damage from construction vehicles crossing or driving on or over the footpaths. By not installing the footpaths initially, and deferring their installation until 50-75% of lots are developed does overcome a large amount of the damage that can occur. However, should Council head down this path it may be met with some reluctance from the developer as the cash bond/bank guarantee will need to take into account additional costs that are likely to be encountered due to the passage of time from when the bonds are provided, the time taken for lots to be developed and varying landscaping and finished levels within the road reserve which will need to be married in or made good once the footpath goes in. If these additional costs are not taken into account General Fund would have to contribute to any shortfall. As is identified there are both benefits and disadvantages for deferring footpath installation. It is considered that an amended specification for footpaths for rollback kerbs, the reintroduction of a road access bond, requirements for Section 138 certificates to be lodged and the option of deferring footpath installations subject to an appropriate cash bond or bank guarantee being provided will go some way towards addressing the issues. d) That Council note the concerns of the Developer in regard to the drainage pits and lines associated with the "cut" and that a Cash Bond or Bank Guarantee covering Council estimated costs to do the works will be accepted as compliance with condition 14 of Development Consent for DA 2007/244. This matter has progressed between the Developers and Council staff and several steps have been implemented and being pursued to negate the need for bonding the works where an agreement will be provided by the vacant landowners acknowledging and requiring the retaining wall drainage lines to be installed and connected during and in conjunction with the construction of buildings on the sites. The General Manager does not support the proposed regulatory system for domestic work because of its costs, delays and staffing requirements. An inadequately resourced regulatory regime may pose more risk than a regime which placed more onus on the applicant. Damage to footpaths, kerb and gutter and nature strips can contribute to soil and erosion run off which does impact on the environment. Damage to footpaths, kerb and gutter and nature strips has social impacts as pedestrians are inconvenienced due to the damaged footpaths etc. Repairs to damaged footpaths by those who damaged or responsible for the damage will incur a financial cost. The provision of a cash bonds or bank guarantees will incur additional costs for the developer. Where the footpaths are not rectified by contractors etc, Council will need to undertake the repairs which will impact on its footpath program or other maintenance works as this would be funded directly from General Fund. Accepting Bonds for footpaths as part of a subdivision could incur costs on Council and the ratepayers if the footpaths are not constructed for a considerable time and the bonds fall short of the actual costs. The development application was lodged with Council on 25 February 2009, following its successful selection in the 40 lot rural residential ballot. The subdivision site is within an existing rural residential locality (Grassy Head), however part of the land is heavily vegetated and has a watercourse running through it, known locally as Morgans Gully. The development for the land depends on some clearing of vegetation to create the required Asset Protection Zones (APZ’s) around the perimeter of the building envelopes and in proximity to the watercourse. The application has attracted three (3) submissions from adjoining landowners, objecting to the development of the land, because of perceived environmental impacts and amenity concerns. Subsequently the application was “called in” by Councillors Flack and Smyth. 1 Consent for Development Application 2009/128 be granted subject to the conditions of consent attached to this report. If Council believes that the impacts of the proposal on native vegetation or the amenity of adjoining landowners is sufficient cause for concern, then it has the option of requesting the applicant to amend the proposal or alternatively it can refuse the application. Council would need to identify its grounds for refusal and be prepared to defend its decision. The subdivision site forms part of a large area of land which has frontage to Scotts Head Road and Grassy Head Road and has multiple land use zones including 1(a1) Rural-Residential, 1(a2) Rural (Prime/Flooding), 1(d) Future Urban, and 7(b) Environmental Protection (Vegetation Conservation). The area of land proposed to be subdivided and developed in this development application, is located in the south western corner of the property with frontage and access to Grassy Head Road and is wholly zoned 1(a1) Rural Residential. The subdivision site adjoins developed rural residential land to the west, east and southern boundaries. A creek known locally as Morgans Gully runs north-south through the property and there is a significant diversity of native vegetation in the vicinity of the creek line. The site has undergone some clearing previously and planting of exotic fruit trees. These cleared areas generally correspond with the location of the proposed new building envelopes within the subdivision layout. The proposal involves a Torrens Title subdivision comprising two (2) rural residential lots with an area of 1.0 ha and 1.4 ha respectively and a residue lot with an area of 124.2 ha. Access to both rural residential lots is from Grassy Head Road and involves the construction of a shared private road which follows the alignment of the existing access track through the property. The private road is proposed to be a single lane (4m wide) bitumen sealed with a piped culvert installed across the creek line, to make the access permanently flood free. The layout of the subdivision has been amended from the initial proposal submitted to Council, by slightly altering the proposed lot boundaries to accommodate the APZ’s necessary to comply with the NSW RFS Planning for Bushfire Protection Guidelines. The main concerns raised by adjoining landowners with the development of the land, is the loss of vegetation and resulting environmental impacts. Bearing this in mind, the final subdivision layout attempts to limit vegetation clearing and disturbance by locating the new road over the alignment of the existing track and locating building envelopes within existing cleared areas. It also retains the majority of the remnant vegetation and watercourse within undeveloped parts of the proposed lots. No objections are raised to the proposal subject to the imposition of a number of conditions of consent addressing access and servicing of the land. No objections are raised to the proposal subject to the imposition of a number of conditions of consent. The application was supported by geotechnical reports which confirmed the adequacy of the land for on-site effluent disposal. The proposal has been submitted to the NSW Rural Fire Service (RFS) on two separate occasions. On the first occasion the RFS were not prepared to approve the application because of concerns that insufficient APZ’s were being provided. In response, the applicant submitted an amended plan which made a minor revision to the proposed lot boundaries and increased the APZ’s by a further 10 metres. By increasing the APZ’s the proposal has also increased the extent of clearing required to reduce the fuel load. The amended plan was acceptable to the RFS and approval was subsequently granted, subject to standard conditions. The proposal relies on a vehicular crossing of an intermittent watercourse requiring installation of a piped culvert. An engineering design has been prepared for the works and the necessary approval have been gained from the Department to enable the works to proceed. The DECC were made aware of the proposal by a submission which objected to the subdivision of the land because of its perceived environmental impacts and also questioned the rural residential zoning of the land. In response the DECC rightly acknowledged that the area of land zoned 7(b) Environmental Protection was not directly affected by the proposed subdivision and that irrespective of the zone of the land, Council was legally obliged to take into account the proposed development on threatened species, populations and endangered ecological communities. A detailed flora and fauna assessment and 8 Part Ecological Test has been undertaken to support the development of the land and no issues were raised which would preclude the subdivision being approved by Council. Unkya LALC were notified of the application in accordance with Council’s notification policy and no response was made to the application. The applicant requested a search of the Aboriginal Heritage Information management System (AHIMS) register and the response from the DECC confirmed that no Aboriginal objects and places are recorded in or near the location. However Council will impose a standard condition requiring work to cease immediately in the event that any object of Aboriginal significance is uncovered during the clearing and construction phase. The subdivision of the land for rural residential purposes is permissible with Council’s development consent pursuant to clause 16 of NLEP 1995. All of the proposed lots satisfy the minimum lot size of 1 hectare. The proposal will result in clearing of some remnant and regrowth vegetation to create the required APZ’s. The impacts of the clearing have been considered in the Flora and Fauna Assessment and 8 Part Ecological Test prepared by Darkheart Eco-Consultancy. While noting that the clearing will reduce the width of buffering vegetation to Morgans Gully, the ecological assessment considered that the impacts were not significant because of the relative abundance of common regrowth species which were likely to be impacted by the clearing. In addition it was stated that mature vegetation such as canopy trees or hollows could be retained within the required APZ’s. A condition of consent will require that a vegetation clearing plan be submitted and approved by Council prior to any site works commencing. The plan must satisfy the recommendations of the Ecological Report with regard to the extent of clearing and marking trees to be retained within the APZ. The proposal complies with the objectives and controls as set out in the Regional Environmental Plan. An ecological assessment was undertaken over the land to determine whether its vegetation characteristics were suitable for koala habitat. The assessment concluded that the subdivision site was generally consistent with a Wet Sclerophyll Forest and did not constitute potential or core koala habitat. No draft environmental planning instruments apply to the land or the development. Both of the rural residential lots have frontage to Grassy Head Road, however vehicular access is proposed via a shared or common internal driveway from Grassy Head Road. The new access will be located over an existing access track to the property, to minimise clearing and disturbance and the need for multiple watercourse crossings. In all other respects the proposal complies with Council’s subdivision standards. The site has some environmental value in terms of its habitat potential and its landscape attributes as Wet Sclerophyll Forest which forms part of a much larger vegetation community to the north and west of the subject site. An ecological assessment undertaken by Darkheart Eco-Consultancy attributed the main impacts of the development to the loss of potential habitat and disturbance from the establishment of roads, building envelopes and APZ’s. A further impact was the potential fragmentation of the habitat and loss of its environmental attributes and value by human interactions such as fencing and the introduction of domesticated pets and exotic species. Several recommendations have been made by Darkheart Eco-Consultancy to minimise the adverse impacts of the proposal. Generally speaking, the recommendations are designed to minimise environmental impact during the initial construction phase of the subdivision and provide opportunities for environmental enhancement and improvement as the land is developed for rural residential housing. These recommendations have been effectively integrated in the design of the subdivision. All other recommendations are likewise incorporated as specific condition into the approval of the development application. Overall it is considered that the major adverse impacts associated with the development of the land will be minimised by restricting development within existing cleared or degraded areas. This will ensure that the development satisfies clause 16 (l) by maintaining where possible, the existing amount, diversity and form of native vegetation and wildlife habitat areas. The site is constrained by native vegetation which provides both environmental value in its natural state and contributes to a bushfire threat when the land is developed for rural residential purposes. Notwithstanding the constraints over the land, the land proposed to be developed has been identified where rural residential development may be considered. The development proposal has been assessed having regard to Clause 16 and it is considered that the final proposal satisfies the considerations for rural residential subdivisions. On this basis the development of the land for rural residential purposes is acceptable and the suitability of the site for the development has been confirmed. The necessary services such as electricity and telephone can be made available for the residential development of the land. The land will be serviced by an existing domestic garbage collection and recycling service currently available in the locality. Concerns were raised that the clearing to accommodate APZ’s would have a significant impact on flora and fauna, some of which were threatened species. Comment: The Ecological Assessment and 8 Part Test concluded that there were no threatened plants on-site, however an EEC River Flat Eucalypt Forest on Coastal Floodplains is likely to occur within the creek line (Morgans Gully) to the north of the subdivision site. The development would not impact on the EEC. Threatened fauna species were considered to have potential to occur in the study area or close proximity to the study area, with the site containing some generic value as foraging habitat as part of a broader vegetation community. These species were also collectively assessed in the 8 Part Test and no significant impacts were expected. Despite the conclusions of the report, a number of recommendations have been made to address the concerns relating to vegetation clearing and environmental impacts and these recommendations have been included as conditions of consent. Concerns were raised that access to the land is flood prone and development of the land would impact on the integrity of the watercourse. Comment: An existing dirt track has been constructed over the watercourse to provide access to the land and the adjoining properties. The subdivision application provides an opportunity to construct a proper piped culvert crossing which will replace the existing track, provide permanent flood free access and eliminate the existing situation where turbid water is released to the watercourse. The number of submissions objecting to the proposal is an indication that it has generated a degree of public interest from directly adjoining landowners. The public interest in ensuring appropriate development of land for rural residential housing has been taken into consideration by the applicant in their detailed submission and Council in its assessment of the proposal. The main concern with the rural residential development of the land is the loss of vegetation and disturbance to the natural environment resulting from the development of the land. To overcome these concerns and ensure that the development is consistent with clause 16, the development of the land will largely be restricted to existing cleared and disturbed areas. The environmental impacts of the development will be acceptable, provided that the development proceeds in accordance with the recommended condition of consent. There are no social issue arising from the development which will see the potential for two additional lots with dwelling entitlements in a rural residential locality. There are no economic issues arising from the development. The potential risk to Council in approving the application would be dependent on the likelihood of a challenge to the validity of the approval on procedural grounds. In this regard, Council has followed proper process by requiring all technical information required to make an assessment of the application under the relevant heads of consideration. No impact on the current budget or future budgets. The development is to be implemented generally in accordance with the plans and supporting documents and their recommendations set out in the following table except where modified by any conditions of this consent. In the event of any inconsistency between conditions of this development consent and the plan and supporting document referred to above, the conditions of this development consent prevail. The approved plans and supporting documents endorsed with the Council stamp and authorised signature must be kept on site at all times while work is being undertaken. The subdivision must be registered with the Land Titles Office within three years of the date of this consent. The application for a Construction Certificate is to include plans and specifications that indicate the measures to be employed to control erosion and loss of sediment from the site. Control over discharge of stormwater and containment of run-off and pollutants leaving the site must be undertaken through the installation of erosion control devices such as catch drains, energy dissipaters, level spreaders and sediment control devices such as hay bale barriers, filter fences, filter dams, and sedimentation basins. The sediment and erosion control plan is to be designed in accordance with the requirements of Landcom’s, “Managing Urban Stormwater, Soils and Construction”, Vol 1, 4th edition, dated March 2004. A Long Service Levy must be paid to the Long Service Payments Corporation. This amount payable is currently based on 0.35% of the cost of the work. This is a State Government Levy and is subject to change. Three (3) copies of engineering construction plans and specifications must accompany the construction certificate application. Such plans are to provide for the works in the following table in accordance with Council’s current Design and Construction Manuals and Specifications. The internal road (from Grassy Head Road to the boundary of proposed Lot 2) is to be constructed as a 4m wide bitumen sealed road on compacted road base, with a minimum 6m wide formation. The road works and any associated drainage works, must be in accordance with Council’s Aus-Spec #1 Design and Construction Specifications. The table drains are to be turfed for their full width. The intersection of Grassy Head Road and the new internal road is to be upgraded to the requirements of Council’s Aus Spec #1 Design and Construction Specifications and be 6m wide at the entrance to the property. Water, electricity and gas are to comply with section 4.1.3 of ‘Planning for Bushfire Protection 2006’. Consent from Council must be obtained for all works within the road reserve pursuant to Section 138 of the Roads Act 1993. Three (3) copies of engineering construction plans must accompany the application for consent for works within the road reserve. Such plans are to be in accordance with Council's Engineering Standard. Toilet facilities are to be provided, at or in the vicinity of the work site at the rate of one toilet for every 20 persons or part of 20 persons employed at the site. Each toilet provided must be a toilet connected to an accredited sewage management system approved by the Council. c stating that unauthorised entry to the work site is prohibited. Written notification of intention to commence works must be forwarded to the Council seven (7) days prior to work commencing. Notification is to include contact details of the supervising engineer and site contractor. Erosion and sedimentation controls are to be in place in accordance with the approved Erosion and Sediment Control Plan. Note: Council may impose on-the-spot fines of up to $600 for non-compliance with this condition. A vegetation clearing plan is to be submitted to Council which clearly identifies vegetation proposed to be removed and individual trees proposed to be retained to create the required asset protection zones. The plan must be in accordance with the recommendations of the Ecological Assessment prepared by Darkheart Eco-Consultancy. a. Monday to Friday, from 7.00 am to 6.00 pm. b. Saturday, from 8.00 am to 1.00 pm. All earthmoving contractors and operators must be instructed that, in the event of any bone, or stone artefacts, or discrete distributions of shell, being unearthed during earthmoving, work must cease immediately in the affected area, and the Local Aboriginal Land Council and officers of the National Parks and Wildlife Service, informed of the discovery. Work must not recommence until the material has been inspected by those officials and permission has been given to proceed. Those failing to report a discovery and those responsible for the damage or destruction occasioned by unauthorised removal or alteration to a site or to archaeological material may be prosecuted under the National Parks and Wildlife Act 1974, as amended. An application for a Subdivision Certificate must be made on the approved form. The Subdivision Certificate fees, in accordance with Council's adopted schedule of fees and charges, must accompany such application. 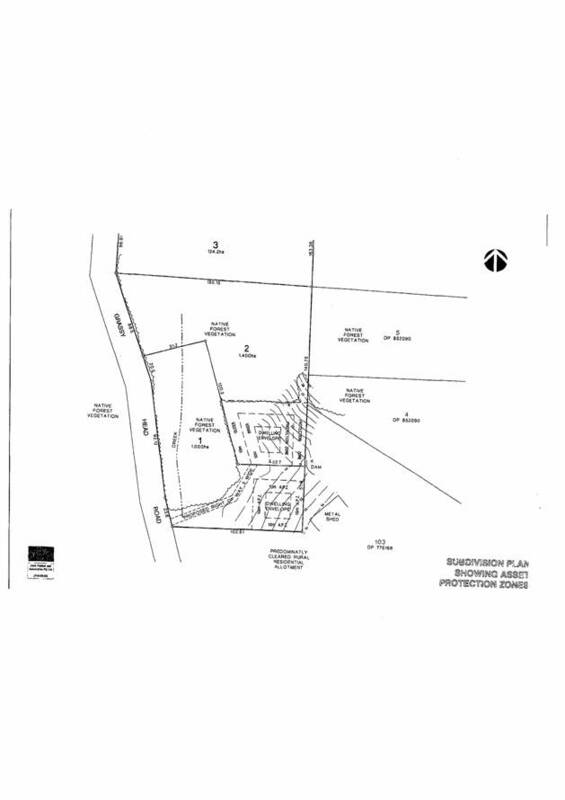 Six (6) copies of the plan of subdivision are to be submitted with the application for a subdivision certificate. The location of all buildings and/or other permanent improvements including fences and internal access driveways/roads must be indicated on 1 of the copies. A restriction on the use of land shall be created to limit the erection of dwellings on proposed Lots 1 & 2 to the indicative dwelling envelope unless a detailed site assessment is undertaken prior to development approval. In this regard, the indicative dwelling envelope is to be shown on the final plan of subdivision. The creation of any necessary easements for electricity purposes as required by the electricity supply authority. Right of carriageway over proposed new road. 172 to the indicative dwelling envelope unless a detailed site assessment is undertaken prior to development approval. In this regard, the indicative dwelling envelope is to be shown on the final plan of subdivision. A restriction on the use of land must be created to limit the erection of dwellings on proposed Lot 172 to the indicative dwelling envelope unless a detailed site assessment is undertaken prior to development approval. In this regard, the indicative dwelling envelope is to be shown on the final plan of subdivision. 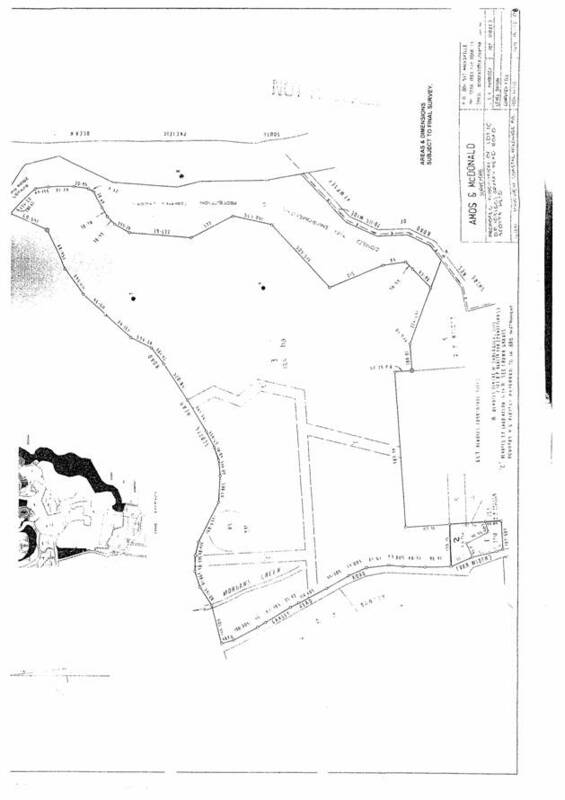 The location of the road carriageway in relation to the road reserve within and adjacent to the property location is to be determined by a registered surveyor. A survey plan showing the location is to be submitted to Council. Where the road carriageway is not within the road reserve, a detailed plan (1:1000 scale) is to be submitted to Council showing the existing road formation and the existing fences and improvements in relation to the boundaries of the road reserve. On receipt of this plan the Authorised Council Officer will advise of the road widening or realignment requirements which must be included on a plan of subdivision. Any road widening required is to be dedicated at no cost to Council. All roads, drainage and civil works, required by this development consent and associated Construction Certificate, are to be completed. Written evidence from an electricity supply authority is to be submitted with the application for a subdivision certificate stating that satisfactory arrangements have been made for the provision of electricity supply throughout the subdivision. Written evidence from Telstra is to be submitted with the application for a subdivision certificate stating that satisfactory arrangements have been made for the provision of telephone supply throughout the subdivision. Contributions set out in the following Schedule are to be paid to Council. The following contributions are current at the date of this consent. The contributions payable will be adjusted in accordance with the relevant plan and the amount payable will be calculated on the basis of the contribution rates that are applicable at the time of payment. The contribution rates for specific dates are available from Council offices during office hours. The submission of all test certificates, owners manuals, warranties and operating instructions for civil works, mechanical and/or electrical plant, together with a certificate from a suitably qualified engineer certifying that all works have been constructed in accordance with the approved plans and Council’s Engineering Standard. Works-as-executed plans, certified by a suitably qualified engineer or a registered surveyor, are to be submitted with the application for a subdivision certificate. Where the design is carried out utilising computer aided design CAD, all cad computer files are required to be provided on CD (Compact Disc) with the final drawings. The CAD files must include all lot and road boundaries, lot numbers and easements. The data is to be supplied in accordance with the requirements of Council’s GIS Officer. In the case where development involves filling of flood prone land, an additional copy of the works-as-executed plan relating to earthworks and final plan of subdivision must be submitted detailing the 1% flooding contour. A maintenance bond of 5% of the value of the works constructed is to be lodged with Council. A copy of the contract construction cost of the subdivision works is to be submitted with the bond. The maintenance period is 6 months and will commence from the date of issue of the final Compliance Certificate. The security may be provided, at the applicant's choice, by way of cash bond or a satisfactory bank guarantee. An application in writing for the release of the bond must be made at the satisfactory completion of the maintenance period. 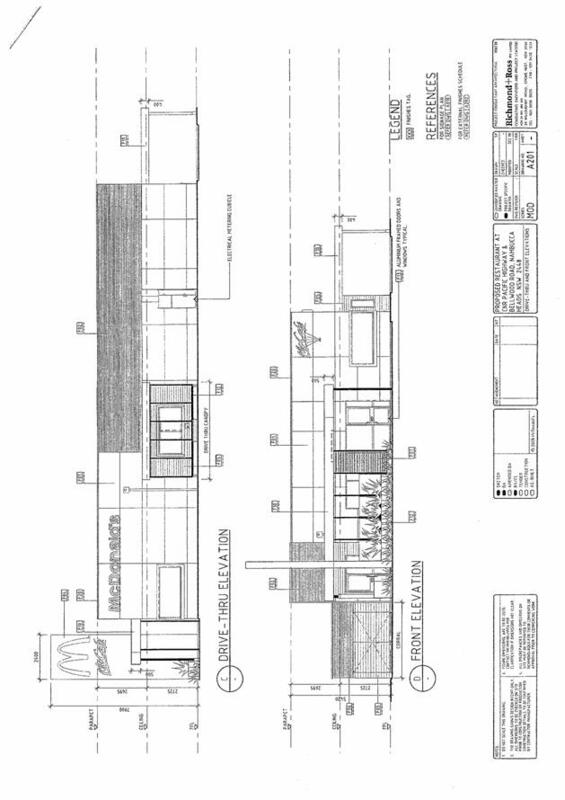 Development Application (DA 2009/127) has been submitted to Council seeking approval for a 24 Hour McDonalds Takeaway Restaurant and Drive-through on the site previously occupied by the Bellwood Motel. The land is recently vacant, following demolition of the Motel and is zoned 3(a) Business General. The proposed development has generated some public interest, with four (4) submissions objecting to the proposal and one (1) submission in support of the proposal. One of the submissions is from a directly adjoining landowner, who has objected to the proposal, on the grounds that the development and in particular the location of the drive-through (which is proposed to be alongside a residential boundary) will have unacceptable impacts on their amenity. Council’s Planning Department shares these concerns and do not believe that the proposal has adequately addressed the potential for conflict and nuisance arising from the location of the drive-through. Whilst, an appropriate condition could be formulated and imposed to minimise these concerns, there are several other areas which represent more significant issues. The Engineering Department has raised concerns with the application because of its incompatibility with proposed road improvements recommended by Roadnet in their Local traffic Management Plan for the Bellwood area, the constrained car parking layout and lack of internal circulation and the proposed access and egress to the site, which they believe will result in congestion at the intersection of the Pacific Highway and Bellwood Road. It is highlighted that these objections to the application and recommendation for refusal, are not based on the proposed use of the site for a fast food outlet. Indeed it is readily accepted that the site has many attributes which make it suitable for a fast food outlet, including its prominent highway frontage and compatibility with adjoining commercial activities. However, the limited size of the land, its irregular shape and restricted access opportunities, has proven unsuitable to accommodate the development as proposed in this application. Council’s main objection to the application is that the design and layout of the development, which is a direct consequence of the constrained site area and shape of the land, has the potential to adversely impact on the efficient and safe operation of the road network and unreasonably affect the amenity of the adjoining residence. These concerns have been explained to McDonalds and requested that they review the layout and size of the proposal against the matters raised by staff and in particular the adjoining neighbour. 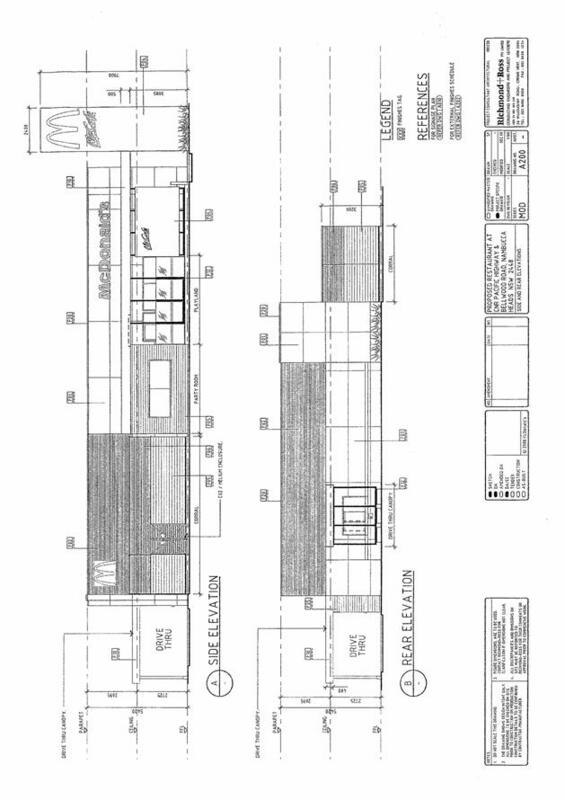 However, while McDonalds have investigated the feasibility of alternative designs, they have ultimately come to the decision that the original design and layout provides the optimum outcome and they wish to have the application determined by Council on this basis. (i) Pursuant to Section 79C(1)(a)(i) of the EP&A Act, and Clause 59 of Nambucca Local Environmental Plan 1995, the development proposal will generate traffic likely to constitute a traffic hazard and/or impact on the safety and efficiency of the Pacific Highway and local road network. (ii) Pursuant to Section 79C(1) (a) (iii) of the EP&A Act the development proposal and in particular the proposed advertising signage does not comply with DCP (2) Advertising Signs Code by virtue of its excessive height, bulk and scale. (iii) Pursuant to Section 79C(1) (b) of the EP&A Act the proposed development and in particular the location of the drive-through will have adverse impacts on the adjoining residential dwelling by virtue of vehicle noise, fumes emission and headlight glare. (iv) Pursuant to Section 79C(1) (c) of the EP&A Act the location, standard and design of access arrangements and parking to the site are not suitable for the development. (v) Pursuant to Section 79C(1) (c) of the EP&A Act the proposed development and in particular the design and layout of the development is not suitable for the size and shape of the land. (vi) Pursuant to Section 79C(1) (e) of the EP&A Act the development proposal is not supported by the Roads and Traffic Authority (RTA) and refusal of the application satisfies the public interest based on traffic safety concerns. 2 That all persons who made submissions relating to the development application be advised of Council’s decision. If Council does not agree with the recommendation then they have the option of supporting the development application. However it is considered that approval of the current proposal and any conditions relating to access, road acquisition and site circulation will have significant and adverse impacts on the local road network and the successful implementation of the proposed Local Traffic Management Plan for the Bellwood area. Conditions of consent have therefore not been drafted, as will impact even further on the development but should Council resolve to support the application, then conditions will be drafted for Council’s approval. Ultimately, McDonalds do not believe that any amendments are practical or warranted and the proposal generally complies in all respects with Councils requirements. On this basis they have requested a determination and do not want the application delayed any longer. If Council does not reach a decision on the development application and having regard to the length of time the application has been with Council, then the proponent may take a deemed refusal and seek redress in the NSW Land and Environment Court. The development application proposes a McDonalds takeaway restaurant and drive-through, advertising pole sign and associated parking for 31 cars. A further 16 cars can be accommodated in the drive-through lane. The proposal will also involve the consolidation of 4 separate lots into one lot. The building will be centrally located on the site and cover an area of 312m2 and include an indoor and outdoor seated area, play area and loading bay. The drive through is located on the southern boundary which adjoining a residential dwelling. A two metre high post and paling fence is proposed along the southern boundary to address the nuisance issues associated with vehicle noise, lighting and fumes. Vehicular access to the site will be from a shared access/egress driveway off Bellwood Road. No direct access is proposed to the Pacific Highway. The architectural design of the development is intended to exhibit a modern coastal theme that is compatible with other buildings in the immediate locality. It is proposed that the business be operational 24 hours, 7 days per week. 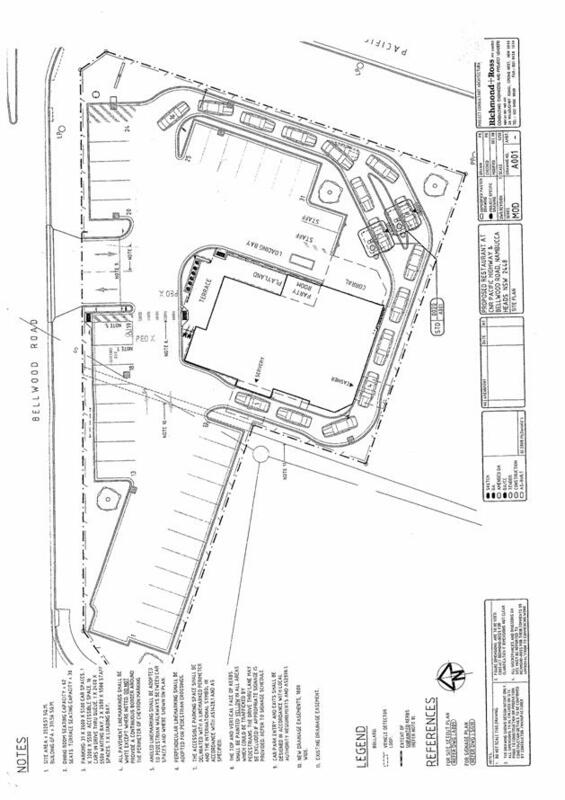 · “The proposed driveway is located too close to the highway. If there is any internal congestion it could cause queuing back onto the highway. Any queuing at the junction during peak times will delay existing traffic from the development and exacerbate the internal problems. · The proposed development will encourage articulated and long vehicles to park on the highway. This will generate pedestrian noise and parking problems as parking is already constrained. · No off-street parking is provided for tourist or longer vehicles such as buses and caravans. This will encourage them to park on the adjoining local road network. Council’s Manager of Technical Services (MTS) has reviewed the application and raises a number of concerns with the proposal in terms of car parking and traffic management. In particular, it is noted that the plans submitted by McDonalds are not compatible with the road upgrades and improvements proposed by Roadnet in their Local Traffic Management Plan for the Bellwood Area, by not incorporating the road widening and splay corners required for the construction of roundabouts and medians. It is also considered that the location of the access to Bellwood Road has the potential to result in congestion and queuing at the Pacific Highway intersection. In this context, the MTS has argued that the involvement of Roadnet has confirmed to Council that the design and layout of the McDonalds development as submitted, has the potential to adversely impact on the efficient and safe operation of the road network. Until such time as the proposal is substantially amended to address their concerns, the application is not supported. Council’s Manager of Health and Building has raised no matters which would preclude approval of the application, subject to compliance with the Building Code of Australia, public health standards and standard conditions. The site is zoned 3(a) General Business, under the Nambucca Local Environmental Plan 1995. The proposal is permissible with consent and is consistent with the objectives of the 3(a) General Business zone. Clause 32 of the LEP, requires that development within Zone No 3 (a) must not exceed a height of 12 metres. The development has a maximum height of 5.42 metres and therefore complies. The North Coast Regional Environmental Plan (the NCREP) is an overarching document relevant to the development. Council is required to consider the impacts to the coastal environment in their assessment of the development application. An assessment has been made and it is considered that the proposal satisfies the requirements of the North Coast Regional Environmental Plan. Council will be aware that Roadnet were recently engaged to prepare a Local Traffic Management Plan for the Bellwood area, which would accommodate expected development (including the recently approved Retail Shopping Centre and McDonalds) and ensure that the road network continues to operate efficiently and safely. Roadnet has now presented its draft plans to Council which are based on traffic projections for commercial and residential development expected to occur in the area. The plans propose improvements which will have a direct impact on the McDonalds site, including a proposed four lane carriageway and centrally located medium in Bellwood Road and corner splay at the junction of Mumbler Street and Bellwood Road to accommodate a proposed roundabout. Given the advanced progress of the management plan and the fact that it is in the public interest that it proceed, it is considered crucial that any proposed development (including the McDonalds development) make all reasonable attempts to incorporate its recommendations. Despite Council’s requests, the recommendations for road improvements have not been incorporated into the plans submitted by McDonalds. In fact McDonalds are prepared to argue that it would be premature to amend to plans in accordance with the Roadnet recommendations, because the management plan has not yet been finalised. Whilst, conditions of consent could be prepared and imposed to accommodate the road upgrade requirements, it is considered that the impact of the requirements for road widening and construction would impact significantly on the site. DCP No. 1 requires 31 car parking spaces, based on the allocation of seating. The application proposes 31 spaces and 2 staff spaces and therefore complies. However if the proposed road improvements and subsequent land acquisition is taken into consideration, the development will lose several car parking spaces and may no longer satisfy the required number of spaces. It is also noted that the limited site area and shape of the land, has not permitted any allowance for parking for larger vehicles such as caravans or trailers. This has the potential to create confusion and congestion when larger vehicles enter the site and are then unable to either park or exit the site in an efficient manner. Access to the loading dock will permit vehicles, including small trucks to access and exit the site in a forward direction. The use and operational hours for the loading dock is proposed to be restricted based on the proponent preparing a Transport Delivery Management Plan to minimise both traffic and noise impacts in the locality. The height of the proposed illuminated pylon sign at the corner of Bellwood Road and the Pacific Highway is 7.9m and the proposed area is 18.9sqm. This exceeds the DCP’s provisions with regard to maximum height (6m) and area (6m2). The applicant has requested that Council make a variation to permit the sign, allowing sufficient area to accommodate the corporate logo and be visible to passing traffic. In response, it is argued that the dimensions of the sign are excessive and its scale is not compatible with the desired character of the area. A sign of such large proportions has the potential to interfere with the visual appearance of the development and obstruct clear sight lines, resulting in visual clutter. On this basis it is recommended that the proposed sign be restricted to comply with the DCP height requirements (6m), but a variation be allowed to increase the area of the sign to a maximum of 12m2. This would be consistent with Council’s recent approval of signage associated with the Retail Shopping Centre proposed to be located at the corner of Bellwood Road and Mumbler Street. With the incorporation of the conditions, the proposed development would comply with the requirements of DCP (14) ensuring access for disabled people and the elderly. A preliminary Acid Sulphate Soils assessment was undertaken. It was considered that the minor filling and levelling of the site was not likely to result in any acid sulphate concerns. Any material excavated on-site for foundations of the building that posed a risk, would be stabilised and disposed to landfill. There is no planning agreement that applies to the land or the proposed development. The proposed development is unlikely to have an adverse impact on the natural coastal environment, natural coastal processes, aesthetic appearance of the coast, cultural heritage, ecological sustainability of coastal areas or public access and use of coastal areas. In this regard, the development complies with the requirements of the NSW Coastal Policy 1997. SEPP 71 is a Planning Policy targeted at protecting and managing the natural, cultural, recreational and economic attributes of the NSW coast and to ensure that the type, bulk, scale and size of development is appropriate for the location and protects and improves the natural scenic quality of the surrounding area. The proposal is within the coastal zone, but is not within a sensitive coastal location and therefore requires consideration. Matters for Consideration under Part 2 of SEPP 71, have been addressed as part of the development assessment process and there are no concerns in this regard. State Environmental Planning Policy No. 55 establishes State-wide provisions to promote the remediation of contaminated land. The land is classified as contaminated or likely to be contaminated by virtue of its previous land uses as a Service Station and Ice Works. If Council were to approve the development application detailed site investigations would be required to asses the extent of contamination and propose an appropriate mediation strategy. public place or public reserve. Having considered the proposal against the relevant assessment criteria it is recommended that the size of the proposed illuminated pylon sign is excessive. Should Council support the proposal it is recommended that the sign be reduced to make it less dominant and more compatible with other signs in the locality. The noise impacts associated with the proposed development, particularly in relation to the operation of the 24 hour drive-through will have significant impacts on the adjoining residence to the south of the development. While these potential land use conflicts could be minimised by a properly designed acoustic wall separating the commercial and residential activities, it is considered that the proposed 2m high post and paling fence is an inadequate response as an acoustic barrier and will also be ineffectual in addressing concerns relating to car fumes from idling vehicles. The development will attract a considerable amount of traffic from the Pacific Highway and generate an increase in local traffic movements in Bellwood Road. The main concern for Council is determining how the development and other anticipated developments in the locality will impact on the road network and ensuring that the road network and any upgrades are designed to accommodate present and future traffic generation. · The proposed development will make appropriate contributions to road improvements in accordance with Council’s Section 94 plan. However, Council’s Department of Engineering Services and Environment and Planning are of the opinion that the development is likely to be the trigger for substantial upgrades to the local road network. A failure to properly address traffic impacts associated with this major commercial development and likely to be exacerbated by future development, has the potential to create an inefficient local road network that could affect its safe and efficient operation. The visibility of the site, its highway frontage and compatibility with adjacent commercial development are all positive opportunities that could be exploited by an appropriately designed development. The constraints of the site, its limited site area and irregular shape, are also significant factors that need to be considered, if it is to be demonstrated that the land can accommodate the proposed development. However, it is considered that the site is not suitable for the proposal which has been submitted to Council for approval, because the design and layout of the development has not had sufficient regard to the constraints and responded appropriately. The involvement of Roadnet and the negative comments from the RTA have confirmed that the design and layout of the development as submitted, has the potential to adversely impact on the efficient and safe operation of the road network, by conflicting with the proposed improvements recommended by Roadnet in their traffic management plan, and creating the potential for congestion and queuing at the Pacific Highway. 1 Proposal will create undue noise, odour and other nuisances to surrounding residences. Response: The location and close proximity of the proposed development to adjoining residences has the potential to result in noise, odour and other nuisance impacts. While most of these issues can be managed, the degree to which they can be effectively managed, is based to some extent on the design and layout of the development. In this regard it is argued that the development has not satisfactorily demonstrated that it is capable of minimising the impacts which result from the development of the land. 2 Proposal will create litter and pollute the environment . Response: The issue of packaging and litter is a concern, but anecdotal evidence would appear to confirm that McDonalds (and other Fast Food Outlets) have improved their waste management operations and are successful in containing all litter on-site and disposing of it responsibly. McDonalds cannot be held totally accountable for the actions of private individuals who may discard takeaway rubbish having left the premises. 3 Proposal will contribute to a loss of privacy and amenity. Response: Any commercial development of the land will result in impacts to residential amenity, simply because of its close proximity and potential for land use conflicts. Council is mindful that the interface between land use activities is managed in an attempt to allow both activities to reasonably occur, without denying one activity in favour of another. However the subject application has not adequately demonstrated that it is capable of managing the interface and the impacts are likely to be unreasonable and therefore unacceptable. Notwithstanding the residential areas adjoining this site have been identified as Mixed Use zone in the draft Nambucca LEP 2009 soon to be exhibited. 4 Traffic movements and parking will impact local residents, the existing local road network is inadequate to accommodate the proposal and will cause congestion. Response; Traffic impacts resulting from the development have been discussed in previous sections of this report. In summary it is contended that the design and layout of the McDonalds development as submitted, has the potential to adversely impact on the efficient and safe operation of the road network. 5 The proposed 24 hour operating hours are inappropriate beside a residential dwelling. Response: The proposed hours of operation are 24 hours, 7 days per week. Comparative evidence would suggest that the proposed hours of operation are consistent with other developments of that size. However, the location of the business which directly adjoining a residential dwelling needs to be taken into consideration and on this point it is considered that the impacts from the business operation on the adjoining dwelling are not adequately addressed by the proposed 2 metre high post and paling fence. Notwithstanding, the residential areas adjoining this site have been identified as Mixed Use zone in the draft Nambucca LEP 2009 soon to be exhibited. The Nambucca Heads Chamber of Commerce and Industry has submitted a letter of support for the proposal. It is in the public interest to ensure that new development is designed, sited and constructed in a manner that minimises any adverse impacts to existing development. It is also in the public interest to ensure that new development does not compromise the efficient and safe operation of public infrastructure, such as the local road network. The current application before Council has not demonstrated that it satisfies these criteria. There will be environmental impacts associated with the proposal, particularly in relation to the amenity of the adjoining residence. Unfortunately the application has not demonstrated that it is capable of adequately addressing the impacts which will be a result of the development occurring on the site. The social impacts from the location of a fast food outlet on the site are limited. The development will however provide an increased range and diversity of food choice for consumers. The proposed development is a major commercial development that will deliver a substantial injection of capital and employment opportunities to the valley. The expected costs of construction for the development are estimated at one (1) million and it is anticipated that the development will provide 100 full time and part time jobs. In any event, there is a risk to Council that its decision will be contested in the Land and Environment Court. Provided that Council continues to act diligently and judiciously, there is no reason why Council should be unable to provide a robust defense of its position. There may be financial implications to Council arising from a refusal of the development application if the applicant seeks to appeal the decision of Council on merit based grounds. The storm in February 2009 resulted in major damage to Bellingen Road from landslips. Restoration of this section is the highest cost item in the flood damage claim. Valla Road has also been affected by significant landslips. That Council note the inspection of Food Damage to Valla Road and Bellingen Road. The February 2009 flood cut a swath of damage from Nambucca Heads, Valla and Missabotti areas with the damage to Bellingen Road was the most significant in cost terms. Byrnes Bridge was washed away requiring a temporary bridge to be put in place to enable some 12 families access back to the south. Bellingen Road is closed from about 4 km to the north because of landslips above and below the road. These were initially 7 slip sites but there have grown and merged and new ones formed as a result of the March/April and May storms. An accurate cost cannot be determined until the method of restoration is determined however a figure of $10 million has been submitted for Disaster Funding as a preliminary figure. The damage is so substantial that without extended funding there is a real possibility of a long-term if not permanent closure of Bellingen Road beyond the first slip. Valla Road is similarly affected by landslips that will be difficult and expensive to repair. All flood damage claims for roads and bridges are subject to investigation and assessment by the Roads and Traffic Authority. The damaged road section and the slips are within the Ganay Nature Reserve and restoration work will involve the Department of Environment and Climate Change to ensure that impacts are acceptable. The road link between Bowraville and Bellingen is used by the residents of Bellingen Road for work, shopping and recreation. A number of residents have expressed their concerns of a long-term closure. Valla Road is an important road link and a school bus route. Bellingen Road is a Regional Road and provides an alternative access to the Pacific Highway for light cars. Heavy vehicles and cars with caravans are not encouraged to use this road. There are some negative economic impacts caused by the closure. There is a high probability that without external funding through the Natural Disaster Process the road will remain closed. Valla Road remains open but has to be regularly monitored. An amount of $10 Million has been included in the Natural Disaster Claim. If successful then the project will need to be re-evaluated. NSW Treasury via Roads and Traffic Authority. The report from GHD identifies a range of maintenance actions short-term and long-term works to ensure the stability of Riverside Drive. Two priority sections have been identified. Initial works will be undertaken in 2009/2010 using the Regional Road Program funding. 1 That Council note the report. 2 That Council note that minor works in Domain D and I will be included in the works to be carried out in the Regional Road Program for 2009/2010. 3 As the road is former Pacific Highway constructed by the RTA, that Council seek 50% funding from the RTA in addition to the Regional Road Program. Allocate additional funds to expedite the works. GHD has provided its geotechnical report on Riverside Drive, Nambucca Heads. Council sought a report on the stability of the road structure because of the unstable land on the uphill batters and the near proximity of the river. The report was done on a risk analysis basis coupled with onsite inspections and the identification of defects. The road length was divided into ten section (domains) to determine the most hazardous and to create priorities. This resulted in priorities being given to domains D and I (copies attached). The range of actions include maintenance, monitoring, short-term and long-term remediation. A copy of the Executive Summary is attached. remove trees that are damaging the existing sandbag retaining wall. b) Keep bitumen road surface in good repair to prevent water infiltration. a) Concrete line the watertable against the cutting to reduce water infiltration. b) Check the pipe capacities and upgrade if necessary. c) Construct half pipe plume drains down the batter from each culvert to prevent scour. d) Repair any damage to the sandbag retaining walls with “shotcrete”. a) Total reconstruction over time. b) Pile walls constructed on the western end where the river is adjacent to the road. c) Use gabion walls on the eastern end. Based on this report maintenance and short-term works need to be carried out on the D and I domains. This will involve culvert outlet works, repairs to sandbag retaining walls including the removed trees growing within the walls. This first step can be included in the Regional Road Program and not require Council funds at this time. The full length of the road will be surveyed and designs prepared for works that can be done progressively over a number of years. Some impact on vegetation but only that found to be impacting on structures. Riverside Drive is the main access into Nambucca Heads and must be kept operational. Some 6000 vehicles per day travel this road and any disruption has the potential to increase costs to a large proportion of the community. The report was commissioned to identify the risk. Two section (D and I) were identified as requiring attention. A regular program over a few years will be necessary for the section from Woodbell Street to Bellwood Street. Regional Road funds can be used to upgrade the road structure. This will reduce the funds available to other regional road sections such as the resealing of Scotts Head Road. No extra funds sought for 2009/2010. Reconstruction costs will impact on future budgets. Council comment is required on the due process and the area of agreement and disagreement prior to the meeting of the Project Facilitation Team in late June 2009.
e) à high degree of acceptance by the community. 1 Workshop to determine Council’s position. 2 Delegates to the Project Facilitation Team (PFT) to determine best options at the meeting. The next step in the consideration of Scotts Head Draft Masterplan is a meeting of the PFT at Taree (11.00 am Monday 22 June 2009) to work through the issues. Council’s PFT representatives are the Mayor and Director Engineering Services. Council will need to provide guidance to the representatives prior to the meeting. A flow chart has been provided that looks at the questions each organisation needs to address to move forward. This will be worked through at the meeting. In addition, the list of issues that were raised by those making submissions are attached. n) Retain trees and increase plantings (Issue 84). v) There is a high community acceptance of the adopted Masterplan. The public consultation was conducted by the Department of Lands. The Department has provided a copy of all submissions received and these are circularised. Joint agreement of the parties is necessary to ensure a workable proposal. Subject to negotiations. Land use will determine proportion of cost and income. Will become a permanent budget consideration if implemented.